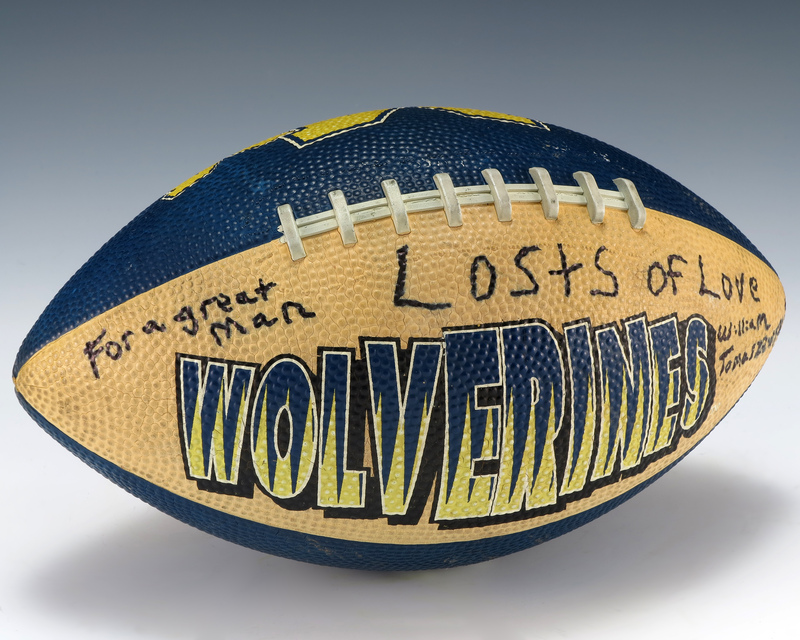 A University of Michigan football made of two yellow and two blue panels. One of the yellow panels features in large block letters the word "Wolverines" that contains both blue and yellow coloring inside them and one of the blue panels features a yellow "M". 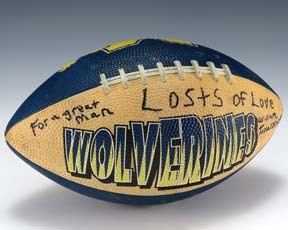 The football contains messages signed in black marker by fans of Gerald R. Ford.